No offence, but that is all I thought of when five of us met, by invite, at Beyond Indus, Taj Clubhouse to taste their Sonargaon Festival! Though it was supposed to be Zamindari cuisine, the Bengal part of it was quite emphasised and me not being a big fan of fish, I was a little worried. The evening turned out to be one that will be difficult to forget! Read on. 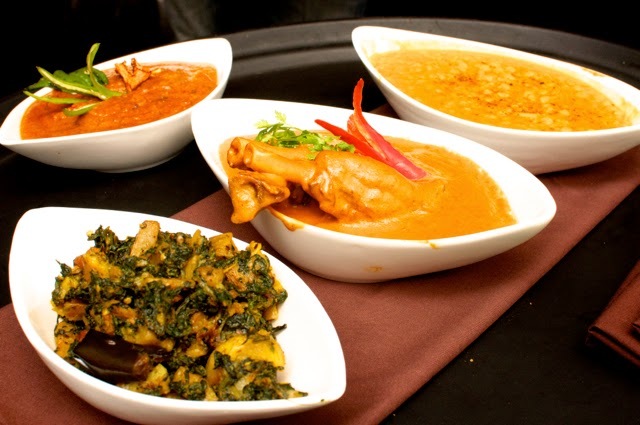 Beyond Indus serves cuisine, from, well, duh, beyond the Indus! So there is a lot of North West Frontier type food and the concept of bringing an East Indian cuisine to a North West frontier restaurant was intriguing. But apparently, Zamindars, did have some influence from the west in their foods and the outcome, last night, was brilliant. I was not able to properly pronounce any of the names with the emphasis on the osh, so I'll skip the name calling! A roasted mango pulp with cumin was a great way to start the meal on the first day of the hottest period of the year!!! This was followed by four fantastic starters. Now, when a veg starter is the starter of the day, though the carnivore in me was a little disappointed, secretly, I love it! I seriously believe that vegetarian food is quite under performing with so much more possible and the corn spinach and green peas kebab vindicates my stand! It was so stunning and though you'd expect to have a familiar taste with corn and spinach, this was quite different, at least for a non vegetarian like me! 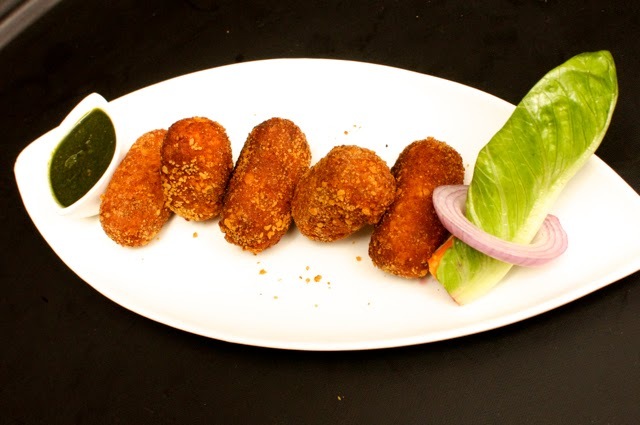 The vegetable chops was the next starter, a simple nice veg cutlet shaped like a roll is the best way to describe it. Then another kicker of a dish, a crumb fried Bekti fish, thin fish, thick crumb, but able to taste both, this was excellent. 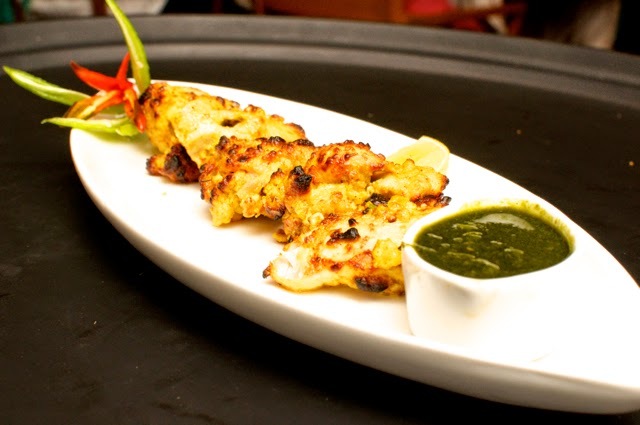 A star anise flavoured chargrilled chicken finished the fabulous line up of starters. The mains arrived in style. A fantastic dhal. I mean, I've had some nice dhal and dhal makhni around, but this was a simple dhal. Simple, yet fabulous. The lamb shanks gravy was pretty outstanding with a unique flavour that was quite North Frontier ish, but had some Bengali essence to it. There was a paneer with a subtle bitter after taste, but the dish of the day was again vegetarian. 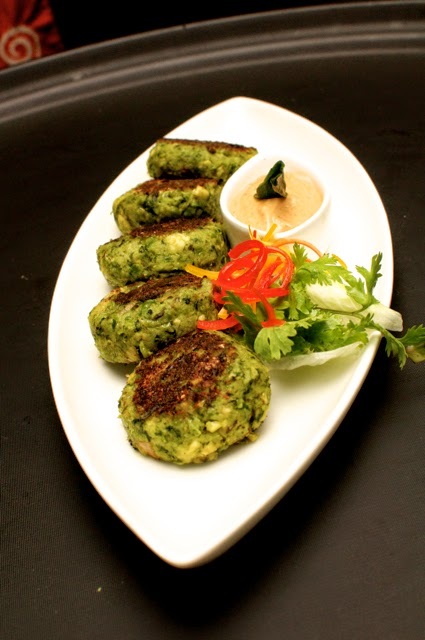 Called the Badi Palak, this was a simple dish with a fabulous flavour. The mains were served with a saffron pulao, some herbed naans and a chilly paratha. 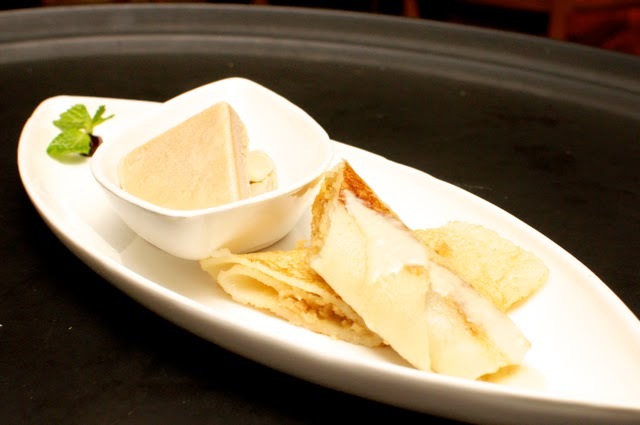 Dessert was yet another fabulous dish, a sweet crepe like thing with a nice kulfi ice! There is always a but. 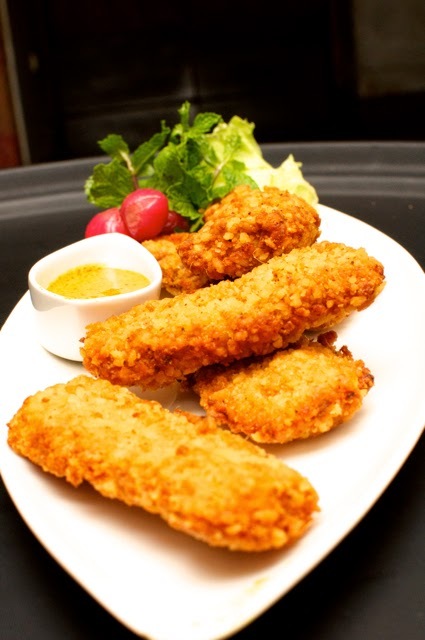 I saw the full menu and I saw Sandalwood Smoked Galouti Kebab on the menu. I am sulking because it was not served. Considering going back today and getting one portion of just that! This menu is available till the 10th of May after which, Chef Rajib Mohanta who has been flown down for this will go back to his base in Calcutta!